Mamma Mary please save my father who is in critical stage now.. I believe in you.. I am not Christian but I have faith in u.
Whoever is seeing this note please pray for my dad as I strongly believe in prayers. Doc has told another 48 hours they have to observe him. He was all normal yesterday and today there are changes in him which is not normal.. Please pray..
My Dad has recovered and is walking. Praise the lord. 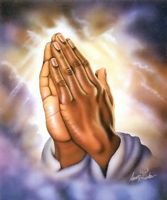 Please pray for Good health and peace of mind for all of my family members.